Public transportation is an essential function for increasing the quality of life for individuals living in areas where traveling by private conveyance is cost or time prohibitive. The various means of public transportation available, such as trains, buses, and taxis, grant people the freedom and mobility to travel when private transportation is not an option. This transportation option is essential to a healthy economy because it connects companies with a wider employee base. Municipalities and townships recognize the importance of public transportation, and to better serve the community they employ end-to-end efficiency and optimization software in the form of public transportation fleet management software solutions that integrate software, hardware, and communication platforms to form a robust, easy-to-use system for monitoring the efficacy of the public transportation system. 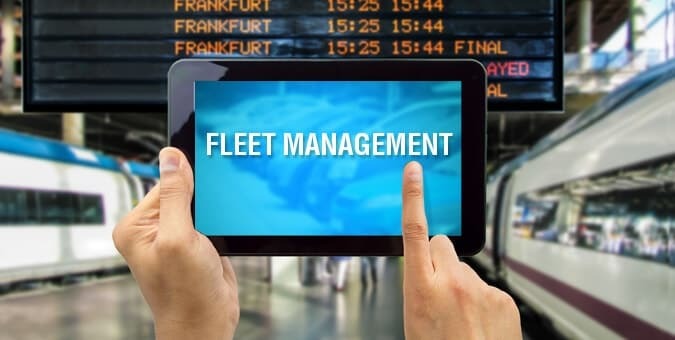 A Report generated by Sandler Research titled Global Fleet Management Systems Market 2014- 2019 suggests the public transportation software market has a potential compound annual growth rate of 26.23 percent over the next five years. In order to serve the public transportation sector better, software providers should develop Automatic Vehicle Location (AVL) and Automatic Passenger Counting (APC) modules for efficient routing and scheduling systems, plus create related application modules to offer entities a better user experience for their users. AVL software determines and transmits locations in real-time using GPS satellites to triangulate the position of the vehicle. AVL data should be interfaced with onboard vehicle computers to aggregate vehicle metrics such as speed and fuel usage. Using a telematics platform allows the vehicle metrics and coordinates to be monitored remotely by using telecommunications to send data. All the information must be able to be viewed on real-time dashboard or stored in a database to be used for business intelligence and report generation modules. With the analytics information given from robust AVL and analytics software fleet managers can use the statistics to refine operations. Integrating Automatic Passenger Counters (APC) increases the scope of the software. APC uses sensor hardware and aggregation software to get a count of passengers boarding and disembarking the bus. Getting access to APC data juxtaposed to overarching information pulled from the AVL system provides a more complete ridership analysis. Operators can use this data to gain insights into the viability of certain bus stops and plan routes in a way that maximizes available budgets. Not only does AVL software help optimize scheduling and routing, but it can also be used to improve the user experience for patrons. One of the drawbacks to taking public transportation is the wait time. In an article published by CityLab, they report that users of public transportation feel like they are waiting up to 50 percent longer than they actually are. Psychologically, when the time of arrival is known the wait time feels shorter. To combat the discontent users feel when waiting for buses, software providers should include solutions for digital signage and mobile apps within the overall AVL platform. The primary directive of these applications is to share real time transit data to the public. Locational information can be integrated with any digital signage and mobile application using a variety of web interfaces and content curation software. Through specific programing the application must determine the GPS geocoordinates of multiple buses and display the actual location plus ETA through a defined User Interface (UI) integrated with a mapping API like Google Maps. Developing a platform for viewing on mobile phones through optimized programing of websites or a native application is imperative. These apps and mobile websites should be enabled for viewing for multiple browsers and operating systems including the most popular iOS and Android. Integrating a one way communication platform increases the scope of the software. SMS messaging and push notification modules can be implemented to let users set custom advisory notices. Municipalities and townships are always looking for new ways to save money from the budget and increase revenue. Developing comprehensive public transportation software that helps entities save resources on overhead and increase passenger count is seen as a viable expense. Software proprietors need to develop or add services to fleet management systems that guarantee a return on an investment. Offering intelligent public transportation software solutions can earn a software provider significant profits within this sector. 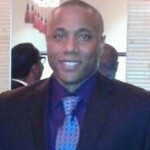 Choosing a software developer with extensive experience within the public transportation space can help software providers identify potential pitfalls to create a platform that will be widely adopted within the public transportation space.